For character and shade on your hot patio! Our business is your backyard fun! 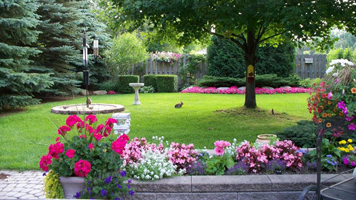 WATERWORKS is proud to offer quality backyard products to enhance your home. Beautiful Jacuzzi Hot Tubs, Viking Inground Pools, Radiant Above Ground Pools, TEMO aluminum pergolas and BioGuard Pool and Spa Chemicals. Need some help along the way - Call WATERWORKS! WATERWORKS is a licensed and insured swimming pool contractor. Unlike other dealers, we install what we sell - both above ground and inground pools. Ready to open or close your pool? WATERWORKS will gladly do it for you. Offering liner replacements, openings,closings and more - please call! WATERWORKS is here to help you take care of all those chores that need to be done. 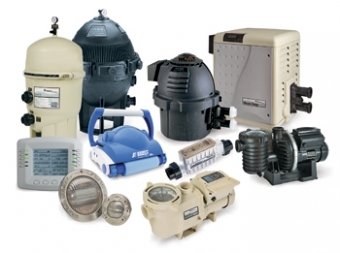 Replacement liners, pumps, filters, heaters, concrete decks and more! Shop hot tub models by size, collection, and features to find the spa that's right for you. OUR PRODUCTS MAKE YOU LOOK LIKE A PRO! For the 2019 Season and beyond. Full time and part time positions avaiable. Check out our photos and news on Facebook or check out our "un-official" Instagram shenanigans. New 'Cocktail Pools' check them out! Viking Pool's new cocktail pools are a great alternative for your backyard. Prettier than a boxy 'swim spa' for those of us who just want to cool off and relax, or float and grab some sunshine. We all agree this is the best exercise pool for your doggies. Walk in steps for easy access and the fiberglass shell can't be damaged by their paws!